Portable Diesel Compressor | Compresstech Resources, Inc.
you can easily move anywhere you want. For tasks requiring handy and dependable air compressor, Compresstech offers portable diesel compressors that can guarantee convenience and dependability, just as you need it. 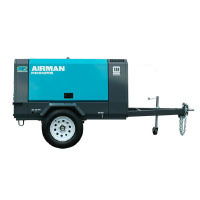 Our portable diesel compressors came from the top brands including Airman, Powerlink and Kaishan to provide you with a compact equipment that is proven reliable and efficient. Choose from our range of portable diesel compressors now.